A Salt Lake County jail inmate implicated himself in the death of a West Valley City man after he told another inmate he’d killed someone and asked a family member during a recorded jailhouse phone call to lie about his whereabouts on the night of the homicide. 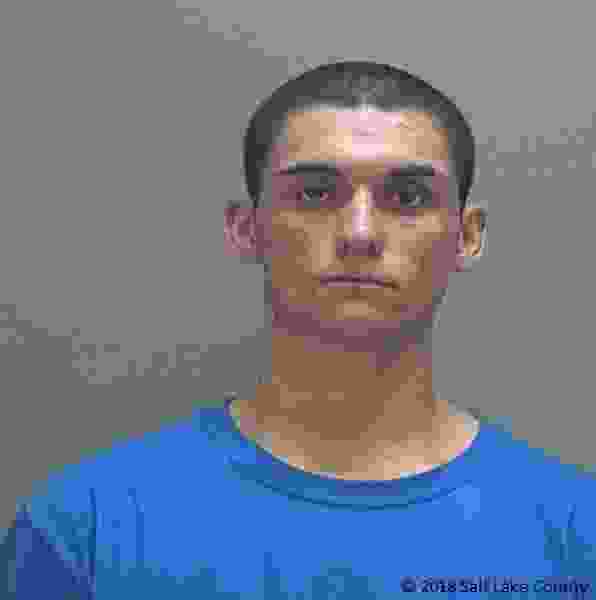 Kaden Michael Gilliatt, who is sometimes referred to as Kayden in court records, was arrested during a burglary on Sept. 13, less than a month after Jordan Burtell Moulton, 21, was found dead in front of a Midvale home. Gilliatt pleaded guilty to charges connected to that incident in February but remained in jail. Police haven’t released much information about Moulton’s Aug. 26 death, other than saying he’d been shot once and that a gun was discovered beneath his body. Charges filed Wednesday against Gilliatt, 20, in Utah’s 3rd District Court outline a possible motive in the shooting, suggesting it may have been an attack on a rival gang member and payback for Moulton talking to Gilliatt’s girlfriend at the time. According to court documents, officers received a tip early in the investigation that Gilliatt may have been involved in Moulton’s death. Police interviewed him about it on Jan. 11, but Gilliatt, who was still in custody, told police he was with three women in Midvale the night of the homicide. The same day, documents state, Gilliatt called one of the women he said he was with that night and told her to be his alibi and to contact another woman he said he was with and ask her to do the same. Police ultimately interviewed the three women Gilliatt claimed to be with, and they all denied seeing him on Aug. 26. On Jan. 19, an inmate in the jail told police that Gilliatt had said he killed a rival gang member by shooting him in the head. The man also said Gilliatt admitted he gave detectives a fake alibi, according to court documents. Four days later, police met with the inmate again. The man claimed Gilliatt told him more about the homicide, including what Moulton was wearing when he died (rival gang colors), what Gilliatt was driving (a blue Subaru Crosstrek) and how Gilliatt disposed of the alleged murder weapon (disassembling it and throwing it in the Jordan River). Surveillance footage from near the shooting scene shows a blue Subaru Crosstrek driving toward where Moulton’s body was found in the moments before the shooting, the charges state. Later, police spoke with Gilliatt’s girlfriend at the time. She told police she’d been talking to Moulton on Facebook, and when Gilliatt found out, he threatened to kill them both. She also said Gilliatt “disappeared” after Moulton died. Gilliatt was charged Wednesday with murder, possession of a firearm by a restricted person and obstructing justice. He remains in Salt Lake County jail in lieu of $1 million bail, cash only. A court date has not been set.